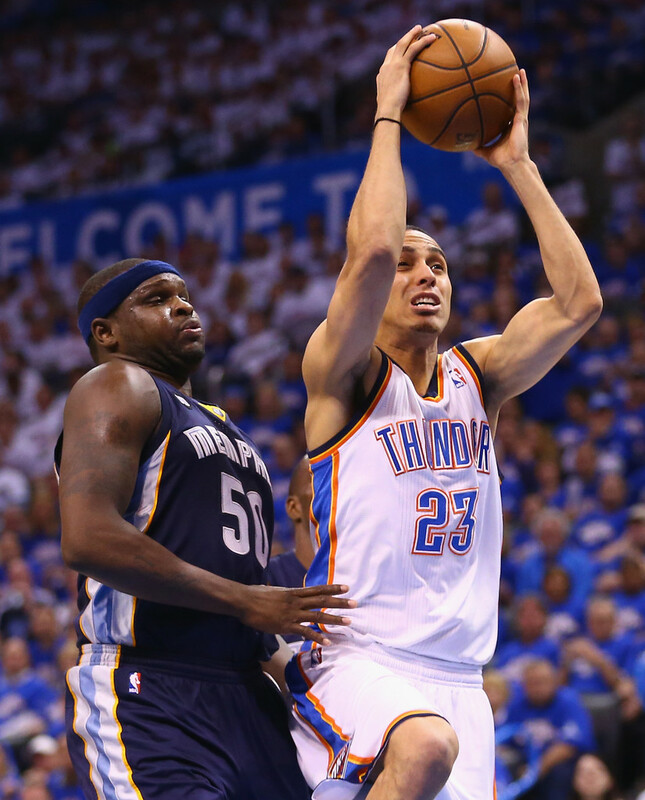 With Oklahoma City’s 84-88 loss to the Memphis Grizzles in Game 5 of the Western Conference Semi-finals, the Thunder find themselves in an unfamiliar place: out of the playoffs before the conference finals even begin. As everyone knows, the major cause of that early exit was the season ending knee injury to Russell Westbrook in Game 2 of the Thunder’s first round match up against the Houston Rockets. After dispatching those pesky Rockets in 6 games, The Thunder found themselves matched up against one of the best defensive teams in the league. Though every game was close, the Thunder eventually succumbed due to late game execution issues and an inability to find a consistent secondary scorer to pair with Kevin Durant. Whenever a season ends, be it in mid-April at the conclusion of the regular season or mid-June at the conclusion of the NBA Finals, every team holds exit interviews with each player and coach on their team. Exit interviews serve two purposes: either to tell the person what to work on for the next season or to advise the person of their intentions in regards to extensions or standing on the team. 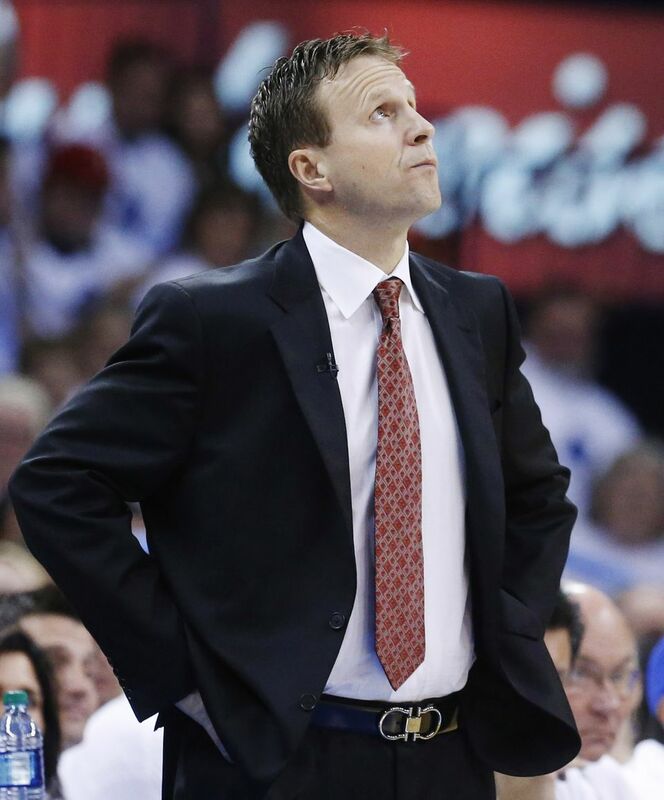 With the Thunder’s ouster, it’s time to hold exit interviews with certain people on the team. Season Review – Amid an earth shattering trade at the beginning of the season, Brooks kept the Thunder ship afloat with his calm demeanor and positive approach to player management. 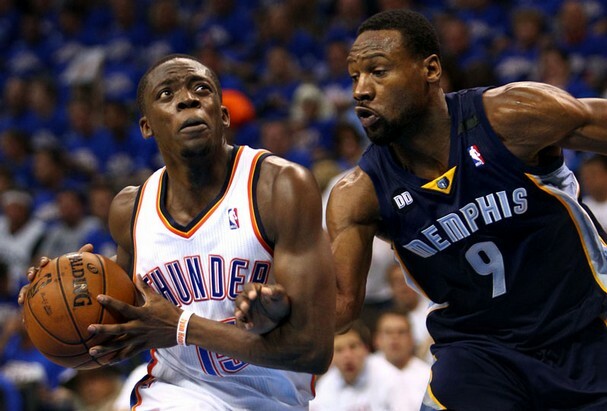 He fostered the chemistry that eventually formed from a team in flux and guided the Thunder to the No. 1 seed in the Western Conference and the 2nd best record in the league. In the playoffs, though, after the loss of Westbrook, the simplistic formations on the offensive side of the ball played right into the Grizzlies hands. With them only having to control one superstar, the Grizzlies continuously harassed Durant while the offense looked completely out of sync at times. View from the Front Office – This coach is a rock of stability. He’s never too high and never too low, which is a positive trait for such a young team (yes, they are still young). He always protects his players in the public and in the media and never resorts to “media-driven” motivation tactics. He’s improved every year in the regular season and, if not for a freak injury to one of his star players, probably would’ve kept on that upward plane. His stubbornness is both a gift and a curse though. It gives the players a sense of comfort and organization, but it also neuters the development of some of the younger players on the NBA stage. Future Outlook – A team doesn’t show 4 consecutive years of improvement on talent alone. Brooks has had as much a hand in the Thunder’s ascension as has Durant and Westbrook. But, this postseason has knocked a little of the luster off Brooks’ shine. 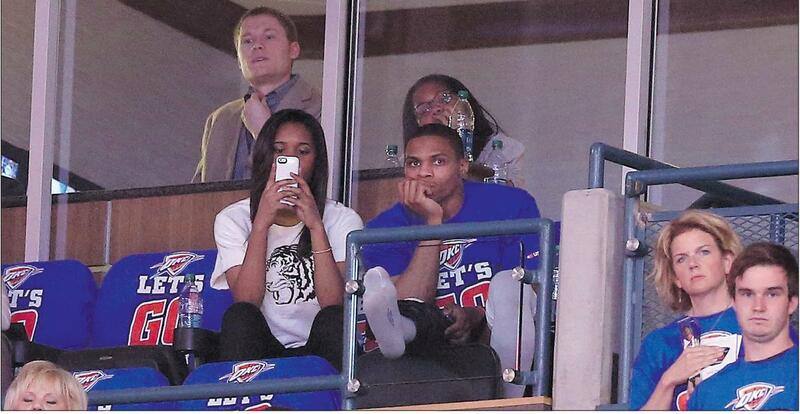 His lack of a contingency plan when Westbrook went down may foreshadow the beginnings of an ugly truth. The realization that Brooks has entrusted the lion’s share of the offense on 2 players, while never developing a fall-safe system in case one of the two got hurt may eventually be his downfall. 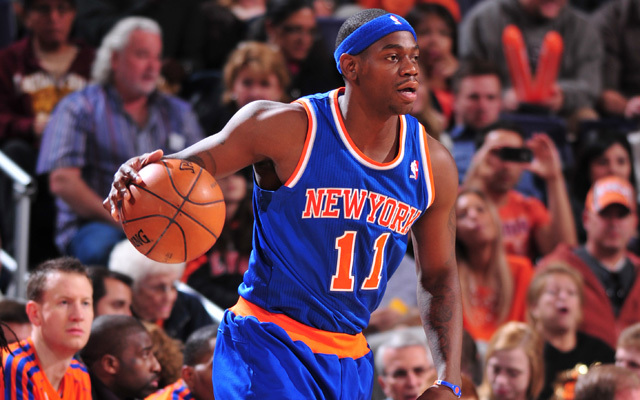 Season Review – The Thunder obtained Brewer from the New York Knicks in a trade deadline deal for a 2014 2nd round pick. When he was first acquired, I had visions of Brewer being a big wing defender to help against the likes of Lebron James. But Brewer never saw much playing time and played in only one postseason game. View from the Front Office – Brewer is a great end of the bench option as a big wing defender. But, offensively, he was atrocious. The hitch on his jumper seems to have gotten worse and his offensive confidence seems to have been shot on the few opportunities he had out there on the floor for the Thunder. Through the tough times though, Brewer remained a consummate professional and said all the right things in public. Future Outlook – Ronnie Brewer, we hardly knew ya. Unfortunately, we never got to see if the acquisition of Brewer would be helpful against the Lebrons of the world. I hope he got to see the Murrah Building Memorial and the Museum of Osteology, because I don’t think he’ll be back in Oklahoma City next season. 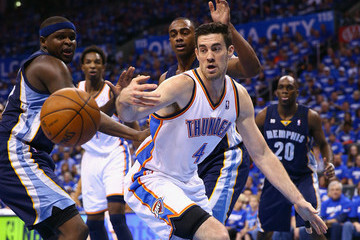 Season Review – Collison was one of the stabilizing forces for the Thunder when the trade at the beginning of the season went down. He anchored the bench unit until Kevin Martin started feeling comfortable with his role, and even developed a great 2-man game with Martin along the way. Collison did what does best throughout the season: rebound, play smart defense, and provide a little bit of offense whenever necessary. View from the Front Office – Though there are signs of slowing down, Collison is still performing at a high level for a back-up big man. Also, his decreasing salary is not a hindrance to the team’s cap structure. Has a future in coaching when his playing days are over with. 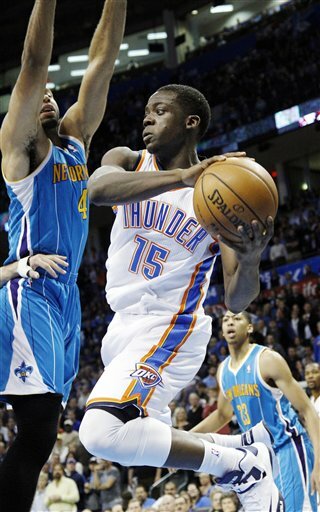 Future Outlook – Collison is a main stay on the team. His small salary and production make him a must for a championship contending team that is hovering around the luxury tax line. Season Review – 50/40/90. That’s all you need to know about this season. 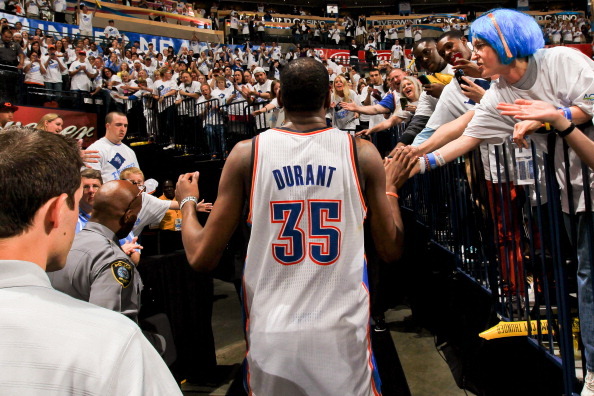 Durant averaged career highs in assists, steals, and blocks, while decreasing his turnovers. He became amazingly efficient at scoring the basketball and could have averaged more points if he wanted to. Durant became more of a playmaker in the absence of James Harden and had the best season of his career. View from the Front Office – The team couldn’t ask more from their superstar player. A scoring savant that wants to be great at all facets of the game. Has a work ethic that matches his scoring ability. Consummate professional and image conscious. A dream to have on your team. Future Outlook – Durant (along with Westbrook) will continue to be the pillars upon which the team’s championship aspirations will rest upon. Durant has improved some facet of his game every year since he got into the league, and there’s no reason to think he won’t do that during this offseason. I will say this though: Kevin, you’ve had a crazy 18 months of basketball with hardly any break. Rest this offseason. Work on getting stronger, but give your body the break it deserves. Season Review – For the second consecutive year, Fisher joined the Thunder after the trading deadline to help provide a spark off the bench. While he had some rough stretches shooting the ball while working himself back into shape, he eventually found his stroke in the playoffs, which proved to be very helpful when Westbrook went down with his injury. View from the Front Office – Veteran leadership and outside shooting. Those are the things that Fisher brings to the table. Undersized combo guard that can burn red hot or ice cold. Like most of the vets on the team, provides the team with a calming presence. Defensively capable, but age and lack of height can get the best of him at times. Future Outlook – It would not surprise me one bit if history repeated itself for a 3rd time next season. The players seem to enjoy Fisher’s presence and he fills a niche for the team. I think a lot will be dependent on roster spot availability and how the young guys develop (Lamb, Liggins, Jackson, and any future draft pick). Season Review – Ibaka was asked to step up offensively after the Harden trade, and he did, averaging career highs in points, FG attempts, 3pt FG attempts, and rebounds. He became one of the best mid-range shooters in the game and also added a corner 3 to his burgeoning repertoire. He became the mid-range release valve in the Thunder’s offense that had been missing since the team traded away Nenad Krstic two seasons ago. Ibaka also continued his dominance as a paint protector and continued his development as a one on one post defender. Ibaka’s effort on the defensive end earned him All-Defense 1st Team honors. View from the Front Office – One of the foundational players of the organization. He’s the superstar of defense and balances out the two offensive superstars on the team. A team-first guy as evidenced by taking less money on his extension than he probably would have gotten in free agency. As scary as it sounds, he is still developing and still learning the game. Future Outlook – Again, one of the pillars of the franchise. He is the defensive yin to Durant and Westbrook’s offensive yang. Having signed his full extension, Ibaka should be a part of the Thunder’s future for the next 3-4 seasons. Hopefully he continues to develop his game, especially his post game and ability to create his own shot. Season Review – After starting the season as the 3rd point guard on the roster, Jackson was sent to the Tulsa 66ers in December for a couple games of development. His per game averages for those 3 games: 28.0 points, 7.3 rebounds, and 8.3 assists on 60/36/100 shooting. Shortly after that stint, the Thunder brass decided that Jackson was ready to be the full time back-up point guard in place of the struggling Eric Maynor. Jackson played steadily throughout the year, showing glimpses of possibly becoming a great combo guard in the league. After Russell Westbrook went down in the 2nd game of the playoffs, Jackson took over and played well enough to keep the Thunder afloat. View from the Front Office – When you have superstars making superstar money, you need good young players that are still on their rookie deals to contribute. That’s where Jackson comes into play. He, along with a couple of the other young Thunder players, will be the foundation of the bench and the gap fillers on the roster. How they continue to develop may determine how far the Thunder go in the future. Jackson proved during his run in the playoffs, that he is an effective pressure player, making clutch free-throws to ice games, but also young enough to make mistakes at critical times. Future Outlook – If Jackson develops his jumper this summer, he could very well become a 6th man of the year candidate. Defensively, he has the ability to guard most guards in the NBA and will be an effective crunch-time player moving forward. Best case scenario is that Jackson becomes a Harden-type player off the bench. Season Review – A lottery talent that surprisingly dropped to the Thunder with the 28th pick, Jones was used sparingly on the Thunder’s roster this season, but was a major player with the Tulsa 66ers. View from the Front Office – Tremendous athlete that dropped in the draft because of injury and motor concerns. A front court tweener that hasn’t yet found his niche in the league. Is he a stretch 4, a huge 3, or an undersized 5? A player that has amazing potential and upside, but needs to pick what he wants to be and start working on that. Part of the young core of the team that will make up the bulk of the bench. Future Outlook – Jones will need to continue working on his mid-range jumper. He has the ability to make it, but needs to be more consistent. Also, needs to bulk up, as he is too skilled to just be a stretch 4. His motor issues may come into play in how much he wants to work on developing his game. According to Jones’ exit interview, he will be staying in Oklahoma City during the offseason to work with the Thunder’s staff on bulking up. I’m sure the organization and player in tune in how they want Jones to develop. Season Review – Lamb was one of the players sent over from Houston in the Harden trade. Although he did not get many minutes with the Thunder, he was, arguably, the MVP of the Tulsa 66ers. 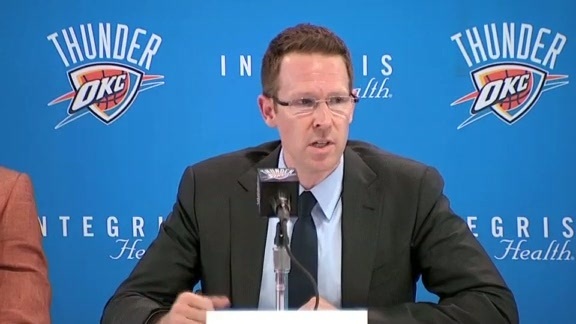 View from the Front Office – Probably the key component for the Thunder in the Harden trade. His development as an outside shooter and wing defender could determine whether this trade was a success. Good outside shot already. Very athletic. Has the tools to be a good to great defender. Needs to add bulk. Part of young core of bench players. Future Outlook – Lamb’s development is extremely important to the franchise’s continuation of success. Has the skill set to be a starting 2-guard in the NBA. Needs to work this summer on consistently making his outside shot, as that will be his role on this team moving forward. Season Review – Liggins was a long shot to make the roster at the beginning of training camp, but showed enough defensively to be given the final roster spot. 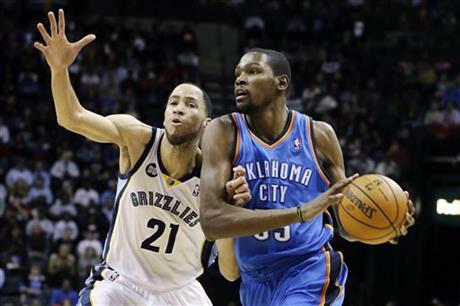 He was used primarily as a wing defender with the Thunder and also spent significant time with the Tulsa 66ers. 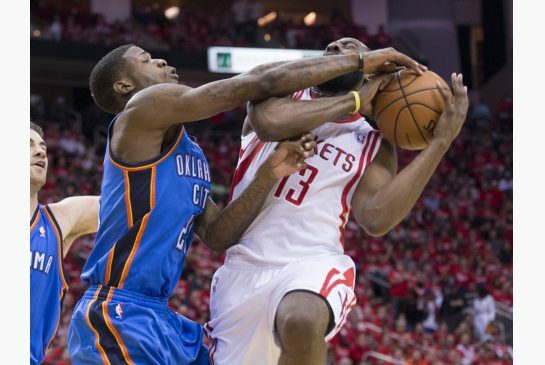 In the playoffs, Liggins was used as a perimeter defender in the Houston series. Salary for 2013-14 – Unknown – Conflicting reports whether Liggins’ contract was only for one season or whether the Thunder can opt into any team option years. Liggins most likely is an unrestricted free agent. View from the Front Office – With the paradigm shift on offensive philosophy changing quickly in the NBA (lane penetration and 3-point shooting), having a young wing defender that can develop some semblance of an offensive game is a plus. Liggins showed a developing offensive game with his corner 3 and ability to drive. 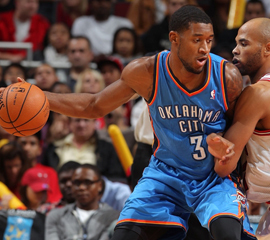 Future Outlook – If Liggins is a free agent, he would be one of my top priorities in the offseason. He can be signed for cheap and will provide some defensive stability for the 2nd unit. 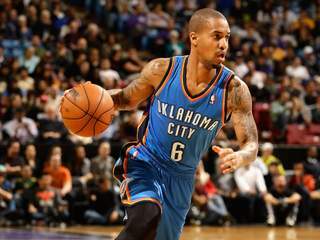 Has the skill set, with the Thunder organization, to be a starting SG in the Thabo Sefolosha mold. Must develop a consistent 3-point shot and get a little bit stronger. Season Review – Martin was one of the players acquired in the Harden trade. 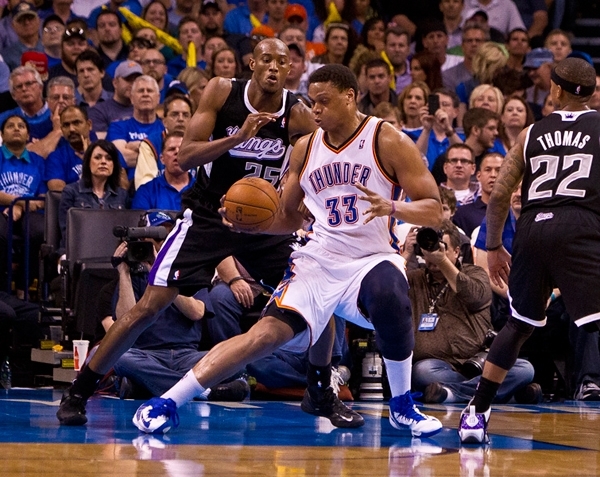 After being a starter with free reign for most of his career, Martin had to adjust to coming off the bench with the Thunder. He was basically put in the Harden role and was expected to produce quick offense once he entered the game. He struggled with consistency in his new role. As the season went on, though, he seemed to assimilate a little better, and was being more consistent by the end of the season. In the playoffs, his inconsistency proved to be a detriment in the absence of Westbrook. Salary for 2013-14 – Unknown as player is an unrestricted free agent. View from the Front Office – Martin was brought in to be a stop gap for Harden’s role on the team. Great shooter that struggles with consistency at times. Used to be able to draw fouls in bunches earlier in his career, but now resorts to strictly being a spot-up shooter. Tends to disappear when his shot is not falling. His game can be predicted with what happens with his first couple of shots. Struggles defensively. Can be a great piece off the bench, but asking price may be too high. Future Outlook – I was on the Kevin Martin contract extension bandwagon earlier this season, but his offensive inconsistencies and defensive struggles, coupled with his probable mid to high asking price (probably starting at $6 million and up), have me thinking that other options may be a better way to go. For what Martin gives the team, the Thunder may be able to find a cheaper replacement that may be as consistent of a shooter, while being better defensively. Season Review – Brought in after the Harden trade to fill in a roster spot, Orton has played sparingly with the Thunder, spending most of the season with the Tulsa 66ers. Salary for 2013-14 – Unknown. A lot like Liggins’ contract situation, there are conflicting reports as to whether Orton’s contract was only for one season or whether the Thunder can opt into any team option years. Orton most likely is an unrestricted free agent. View from the Front Office – Developmental project that will take time. Has shown flashes of being able to play some minutes in the NBA. Big, strong frame that can clear space. Has to learn how to use that frame to get rebounds and play positional defense without fouling. Needs to be more offensively aggressive, as his size . Injury prone. Future Outlook – Depending on who and how many the Thunder draft, Orton may be candidate to come back as that last big off the bench. A little bit more time in the D-League will do nothing but help his development. He seems to be close to putting it all together and being a small time contributor on this team. Season Review – Perkins does what he does. Rebound. Defend the paint. Intimidate opponents. He had his ebbs and flows throughout the season, but was still an integral part of a 60 win team. In the playoffs, though, came into question as he was a liability in the Houston series and was partially ineffective in the Memphis series. View from the Front Office – Stingy post defender. Struggles offensively due to general immobility caused by prior injuries and natural slowness. Surprisingly, guards wing players well in short periods of time on pick and roll switch outs. High basketball IQ, especially defensively and in the post. Great teammate and veteran. Future Outlook – Probably gets saved from the amnesty clause due to the fact that it makes no sense, financially, to cut a player that you’ll still have to pay, and that still has some value. 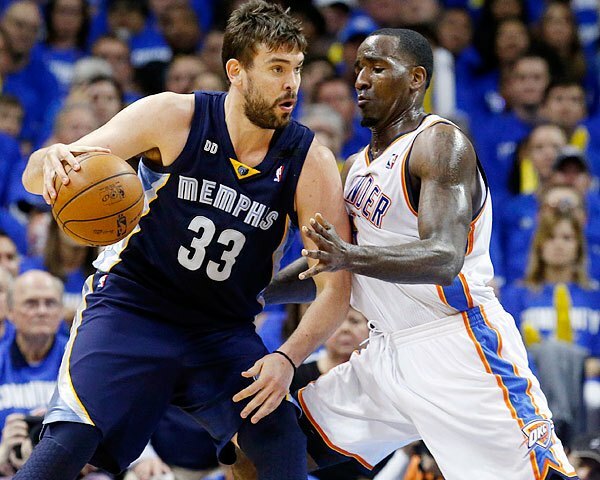 Perkins’ skills have steadily declined every season he has been in OKC. I believe Perkins will still be the starting center come the first game of 2013-14, but his minutes will be severely reduced throughout the season depending on match-ups. Season Review – Sefolosha was a lot more aggressive offensively this season, averaging 3.2 three point shot attempts per game, making them at a 42% clip. He also shot a career high 48% overall, while scoring his highest full season scoring average since arriving in Oklahoma City. 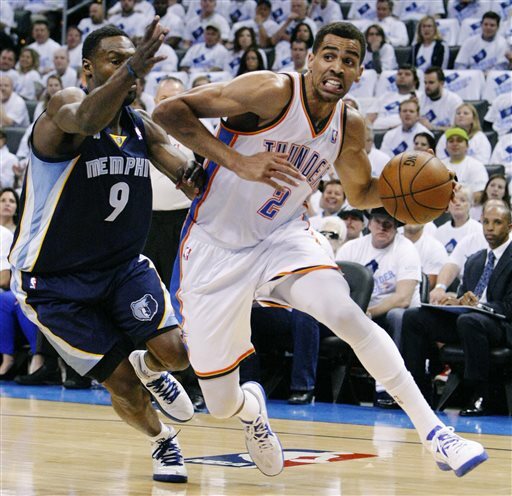 Sefolosha’s bread and butter, though, is as a premier wing defender, and he excelled at that again this season. View from the Front Office – One of the better wing defenders in the league. Long, but strong enough to bang with some of the bigger wings in the NBA. Improved 3-point shooter. Good ball handler that can make mistakes in the open floor. Consummate professional. 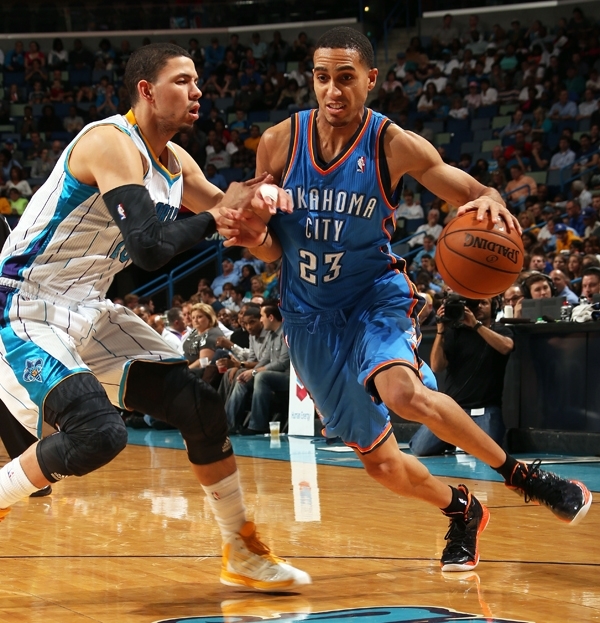 Future Outlook – Sefolosha is in the final year of his contract. He has value as a wing defender, and may be a tradable asset in the near future. While I would love to sign Sefolosha to an extension, it may make more sense, financially, to go with one of the younger options that are waiting in the wings (Liggins or Lamb). Season Review – Coming into the season, Thabeet was thought to be battling it out with Cole Aldrich for the back-up center position. 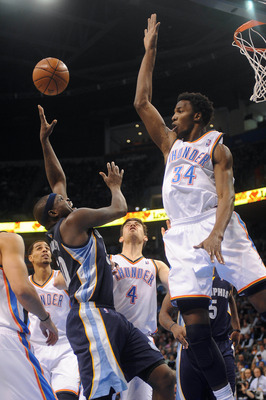 After the Harden trade, Thabeet was given the reigns to the back-up center position, and performed surprisingly well. A draft bust as the 2nd overall pick in the 2009 NBA draft, Thabeet has shined in his chance at redemption, focusing on defense and rebounding. View from the Front Office – Defensive minded big that has finally figured out how to play in the NBA. Strong-willed, as others would have probably folded when the word “bust” was used to describe their career. Uses his height and length well. Offensively challenged, but has good hands and can produce offensively, if put in the right position. Lack of lateral movement can lead to foul trouble. Has the ability to start if he can stay out of foul trouble. 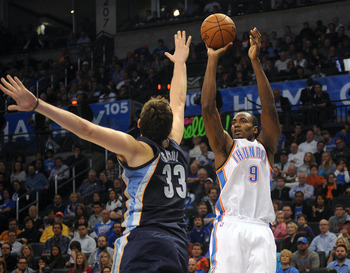 Future Outlook – Thabeet has been a surprising success. While he will never live up to his No. 2 selection, he has the ability to carve out a long career as a back-up, and possibly, starting, center in the NBA. Now that he has gotten used to the speed of the game on the defensive side of the ball, it is time for him to work on his offensive skill set. He already has good hands, and for a center, that’s half the battle. Season Review – Westbrook’s value to this team was never more prevalent than when he missed most of the postseason due to a knee injury. The offense sputtered, the points in transition went drastically down, and the defenses keyed in entirely on Kevin Durant. Westbrook had a great regular season, and for stretches of time, was the best player in the league. This one man fast break constantly kept defenses on their heels and keyed one of the most prolific offenses in the NBA. His assist numbers went up, while his turnovers went down. And he averaged a career high in rebounds. View from the Front Office – Electric athlete. One of the fastest players with the ball from end to end in the world. Explosive leaper that would like nothing more than to dunk on someone’s head. One of the quickest first steps, but also has the ability to stop on a dime and make mid-range jumpers. Gets a lot of elevation on his jump shots. Drafted as a defensive stopper, but gambles a lot at times, to the detriment of the defense. Improving 3-point shooter. Not very media friendly, but not mean-spirited, either. Future Outlook – As Sam Presti stated in his exit meeting with the press, Westbrook and Durant are the “caretakers of the organization” and the “drivers of our culture”. I think both relish that role, especially Westbrook. He is the heart of the team, and how he goes, so does the team. Even though the playoff exit was a lot sooner than most of us expected, the future is indeed bright for this team. Take away the reckless dive at Westbrook’s knee by Patrick Beverly, and this team is likely playing against the San Antonio Spurs in the Western Conference Finals. But, as they say, injuries are a part of the game. It’s a sentiment that could probably be echoed in Oakland (David Lee), Los Angeles (Kobe Bryant), and Chicago (Derrick Rose, Luol Deng, Kirk Heinrich, etc). Thankfully, Westbrook’s injury isn’t one that should affect him in the future. With the assets obtained in the Harden trade, it will be up to Thunder GM Sam Presti to make use of the toys he has to work with. Part of the mission has been accomplished. As I mentioned in this previous article, the goal of the Thunder in the last 5 games was to catch up to the Spurs and at least tie them for the Western Conference lead. Now that that has been achieved, the Thunder hold their Western Conference destiny in their hands. 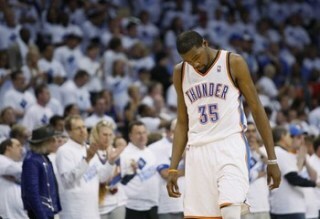 All the Thunder have to do now is keep stride with the Spurs, and head into the playoffs with the number 1 seed. 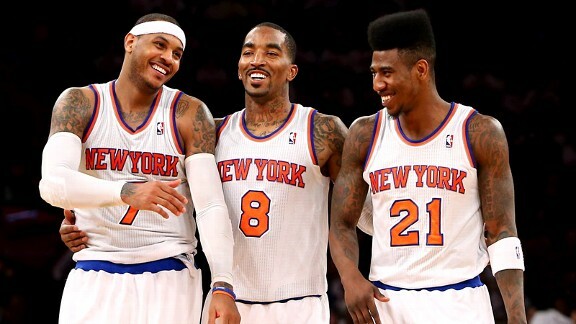 The first step to that begins against Carmelo Anthony and the New York Knicks. With the San Antonio Spurs’ win against the Atlanta Hawks yesterday, they sit a half game ahead of the idle Thunder. It’s your move, Oklahoma City. The Thunder are currently playing their best basketball of season since the 23-4 stretch that began in late November. They’ve beat the Spurs and the Indiana Pacers in convincing fashion with close-out 4th quarter performances from their superstar duo. 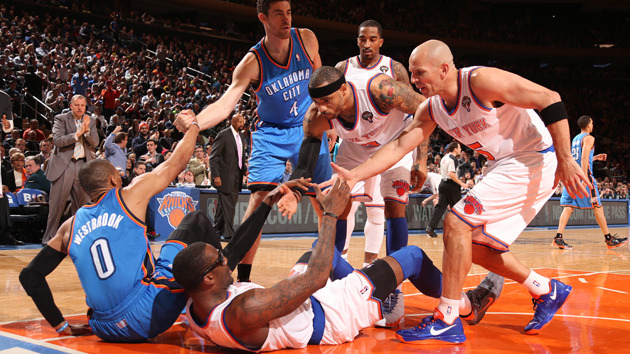 The New York Knicks come into the game playing their best basketball of the season, having won 11 in a row. The streak, which is the best current streak in the league, can be attributed to 2 things: Carmelo Anthony (32.4 ppg) and JR Smith (23.9 ppg on 49.2% shooting) efficiently attacking teams offensively, and Tyson Chandler and, new addition, Kenyon Martin providing the muscle on the interior. Their margin of victory during the streak has been 13 points. It’s a funny thing that happens when you write about important stretches in a season. I had the last 5 games tabbed as the most important stretch of the season for the Thunder. But after taking care of business, this game now becomes the most important game of the season. It’s important, not only because we accomplished the goal of catching up to the Spurs, but, because, now, New York is the hottest team in the league. And they are winning by using the same formula that has hurt the Thunder in the past: dribble penetration, 3-point shooting, and 1-2 offensive stars that perform within a system. New York has surprisingly become a lot like Miami during this streak, and it will be a good litmus test for the Thunder moving forward. Perimeter defense – With the absence of Amare Stoudemire, Kenyon Martin, and Marcus Camby, the Knicks are hurting inside offensively. Anthony and Smith have actually pushed their games inwards during this streak, but are still very perimeter oriented. Felton is a lot like Andre Miller in that he does his damage by penetrating inside and uses his strength to power shots in. Steve Novak, Jason Kidd, and Prigioni are all ready to shoot 3-pointers at the hint of daylight. As is usually customary with Thunder coach Scott Brooks, when the Thunder get a player that was recently with another team, Brooks usually plays said player extended minutes when it’s against his old team. So, with that said, Ronnie Brewer, you’re up. Match-up Land Mines – With the injuries to the Knicks’ front line, they have been forced to play small ball from the outset of games. 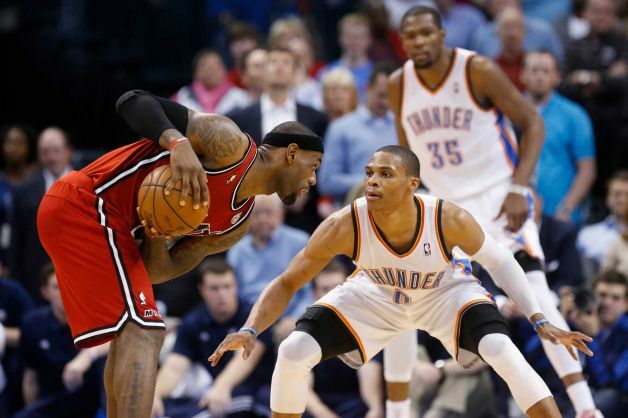 With that said, do the Thunder really want Serge Ibaka guarding Carmelo Anthony at the start of the game? Or do they want Kevin Martin guarding JR Smith when the bench checks into the game? Or Derek Fisher guarding Raymond Felton? Knowing that Brooks has a very consistent substitution pattern, it will be very interesting to see how the Thunder adjust on defense. As I said before, this is a very good prelude to what Miami and Denver will do to us if we meet them in a future series. Buckets – The elephant in the room. The scoring title may be up for grabs in this game. 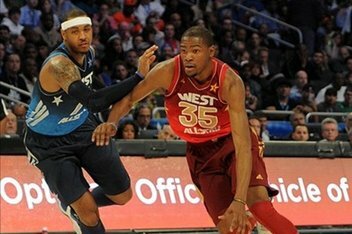 Kevin Durant leads Anthony by a tenth of a point (28.4 to 28.3, respectively). With Durant already saying that Anthony can have the scoring title, will team success have any bearing on whether any of these two players eases off the gas when it comes to scoring. Like Durant said, “I really wanted my first one (scoring title). Don’t get me wrong – – I never want to take stuff like that for granted. But if it happens, it happens. I’m just going to play my game. I’m not going to force it too much and think about it too much and try to get it.” The only thing for Durant, and Anthony as well, is that their games are about scoring. 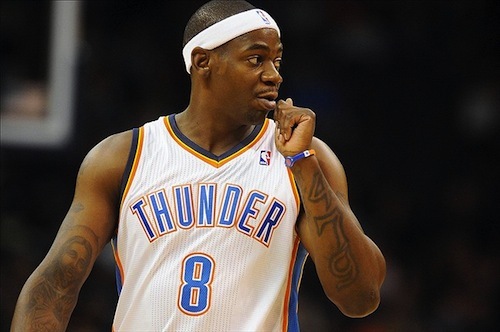 With as much as Durant has a tendency to stat-watch, will he try to get that extra point to one-up Anthony? Regardless, this game certainly reminds of the scoring title race in 1994, where David Robinson and Shaquille O’Neal went back and forth on the scoring title till the last game of the season, where Robinson scored 71 points to finally take the scoring title. We can only hope that one of these two players puts up 50 in the game. After so much speculation and rumor, this was just about the most anti-climactic trading deadline ever. Other than the Sacramento Kings unloading Thomas Robinson in a “scratch your head” trade to Houston, most teams played it safe and kept their assets. This is probably the first visible sign of how the new CBA will affect how teams view their assets moving forward. The name of the game is cap space and most teams stuck with what they had instead of taking on salary and risk. The Oklahoma City Thunder were a microcosm of the trading deadline, itself. 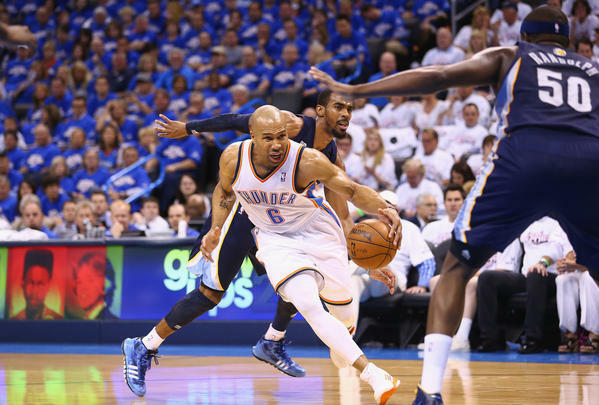 The Thunder had one player who was a virtual lock to get traded, in Eric Maynor. The rumors were that teams were interested in Maynor as a solid back-up point guard, but were unwilling to unload a first round pick in exchange for him, which was the asking price from the Thunder. 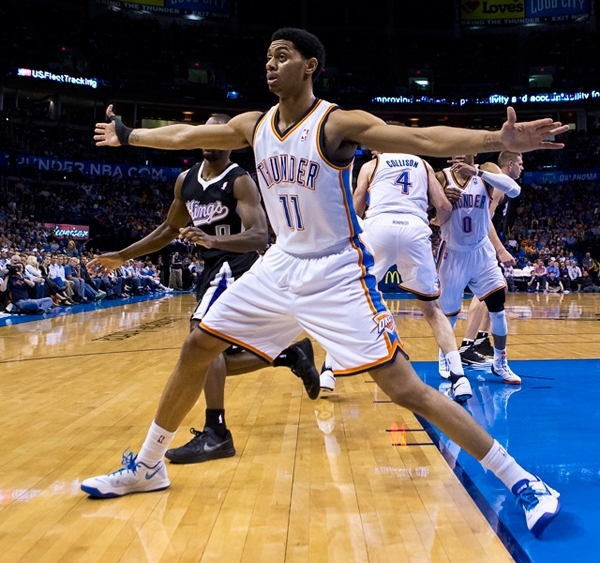 Then on Wednesday, a big rumor sprang up involving the Thunder and the Phoenix Suns. In the proposed trade, Phoenix would send Marcin Gortat and PJ Tucker to the Thunder for Kendrick Perkins, Jeremy Lamb, and a 1st rounder. 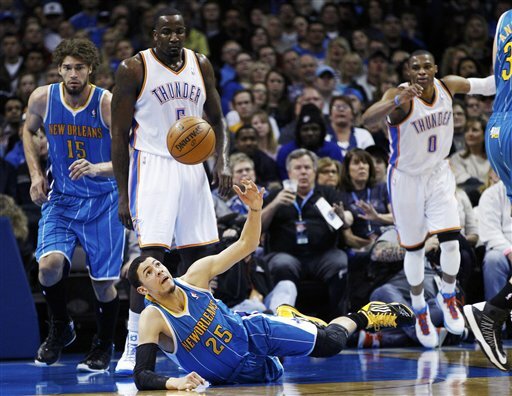 Though the rumor died down as the day went along, it gained a little bit of momentum late Wednesday when Perkins was a late scratch in the Thunder’s game because of a knee sprain. By Thursday, though, the deal was all but dead. In the end, the Thunder traded Maynor, kept the asset train rolling, and obtained a veteran lock-down defender for virtually nothing. One of the greatest things in the world is receiving an extension to a deadline. 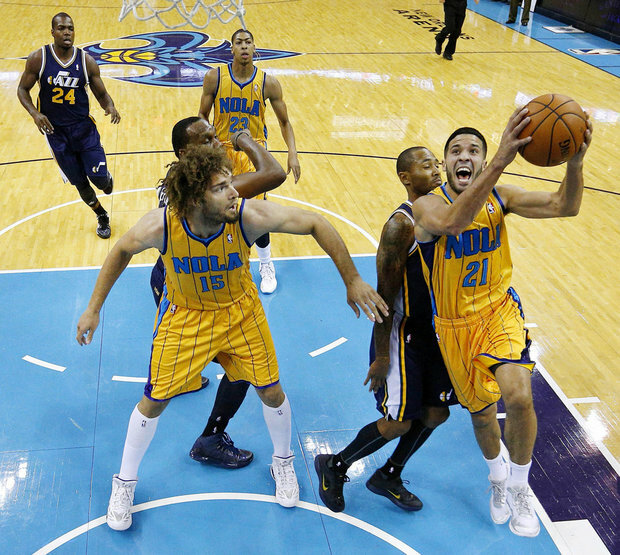 The Thunder were facing the possibility of losing Maynor for nothing this offseason. While the Thunder didn’t receive the 1st round pick they were initially looking for, they did receive an asset that could help them immensely in the future. The trade exception is actually a little more than Maynor’s actual salary. In essence, the Thunder got a 1 year reprieve on Maynor’s expiring contract, without having a live body taking up a roster spot. For a player that many fans thought wouldn’t garner anything of value, the Thunder made the best of the situation and got themselves a valuable asset. With possibly 3 draft picks (2 first rounders and a 2nd rounder) in the upcoming draft, look for Oklahoma City to put a package together to get something of high value on draft night. As for Georgios Printezis, he’s a 6’9” PF that currently plays for Olympiacos in the Euroleague. His game is similar to that of Luis Scola of the Phoenix Suns, but with a little more range on his jumper. He is best known for hitting the game winning shot in the Euroleague finals against CSKA Moscow. The 28 year old recently signed a 3 year extension with Olympiacos that will probably keep him in Europe for the rest of his career. 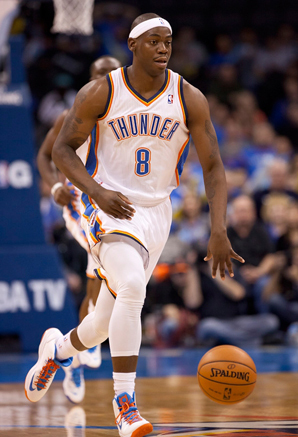 Deal 2: Oklahoma City receives Ronnie Brewer from the New York Knicks for a 2014 2nd round pick. One of Sam Presti’s tenants is that he never deals for a player with just one team in mind. When he dealt for Kendrick Perkins, many people thought he did that with only the Los Angeles Lakers (who had Andrew Bynum and Pau Gasol) in mind. But the entire Western Conference is full of skilled big men, especially the playoff teams. Teams like Memphis (Marc Gasol and Zach Randolph), Utah (Al Jefferson and Paul Millsap), San Antonio (Tim Duncan and Tiago Splitter), and the Los Angeles Clippers (DeAndre Jordan and Blake Griffin) all pose a threat on the inside to the Thunder. With our recent struggles against the Miami Heat, many Thunder fans were clamoring for a big wing defender like Luc Richard Mbah a Moute of the Milwaukee Bucks or Jared Dudley of the Suns to be that mythical being called a “Lebron stopper”. The truth is, when you play a team that plays inside/out like the Heat or the Spurs, a big wing defender is tantamount when it comes to recovering on 3-point shooters. Players like Tony Parker, Manu Ginobili, Dwayne Wade, and James are great at dribble penetrating, breaking down a defense, and finding the open guy on the perimeter. While the Thunder already have a great perimeter defender in Thabo Sefolosha, an extra set of long arms and active hands would not hurt. The New York Knicks, in an effort to slash some payroll and open up a roster spot, were looking to unload one of their perimeter defenders. The early rumor was that they were trying to trade Iman Shumpert for an offensively minded guard like Orlando’s J.J. Reddick. Instead, the Knicks made Brewer available and the Thunder swung the deal for him. Brewer is regarded as one of the toughest big wing defenders in the league. He’ll be especially helpful to Kevin Martin and the bench unit as their best wing defender. Also, if necessary, in small ball line-ups, Brewer can be put in at SF or SG to help on the defensive end. An added bonus is that Brewer’s salary is nearly half of what Maynor’s was ($2.3 million for Maynor compared to $1.2 million for Brewer). That saved money could be used to get a veteran free agent for the final roster spot, similar to what the Thunder did in obtaining Derek Fisher last season. Overall, I think these moves made the Thunder slightly better in the present and made them even more dangerous on the draft/trade front in the future. Whether Brewer proves to be of any use is still to be seen. But it’s better to have a player like that on your team than on your opponent’s team. With the more punitive luxury tax looming next season, many teams will be looking to dump some salary in the offseason. With all their assets they’ve accrued, the Thunder should feel pretty good about themselves as we move forward under the guise of this new CBA.